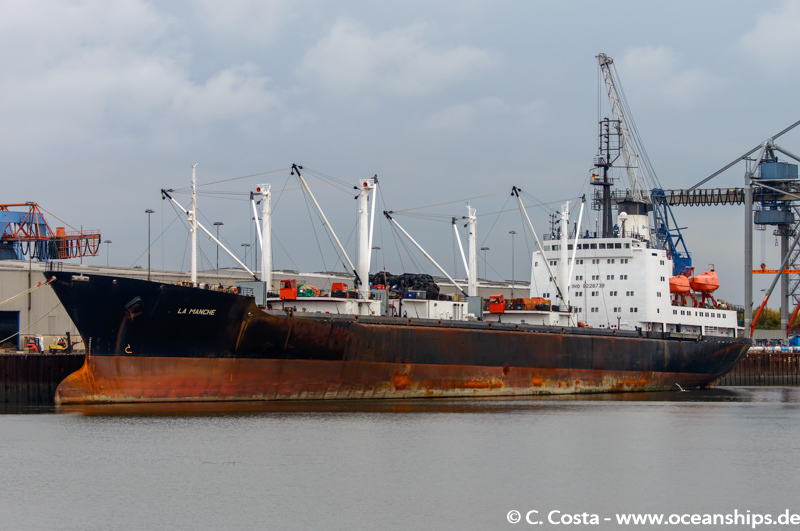 33 year old refrigerated cargo vessel La Manche is moored at Bremen Neustädter Hafen shed 21 on October 19th, 2016. 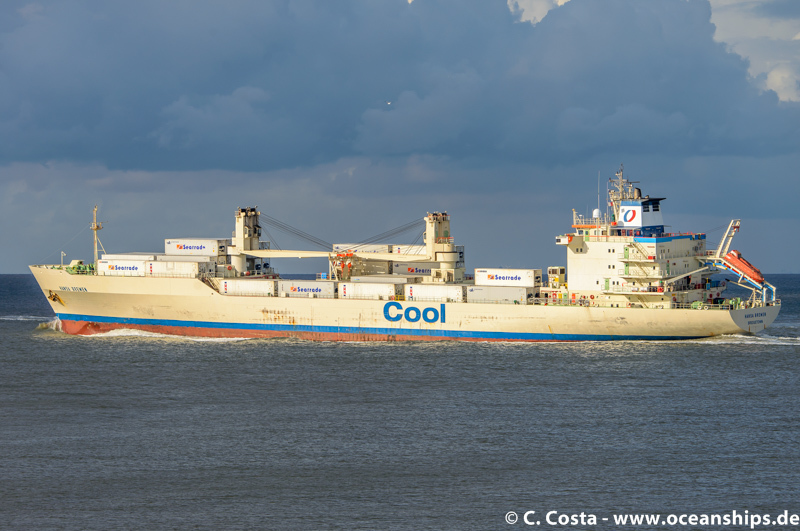 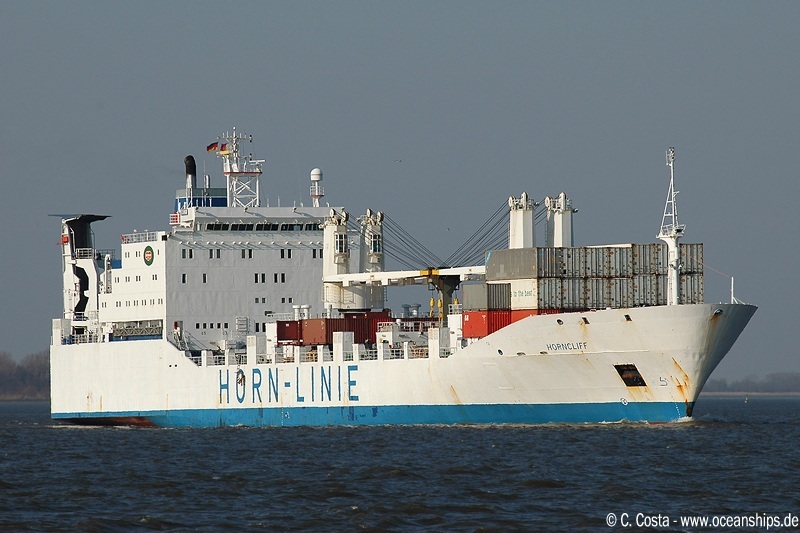 Refrigerated vessel Hansa Bremen is passing Cuxhaven in the evening of September 02nd, 2015. 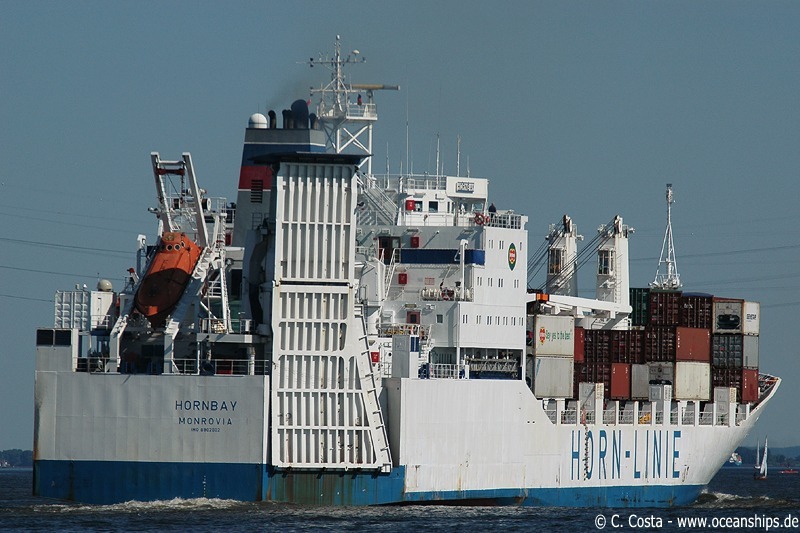 Refrigerated cargo ship Hornbay is passing Stadersand on July 16th, 2006. 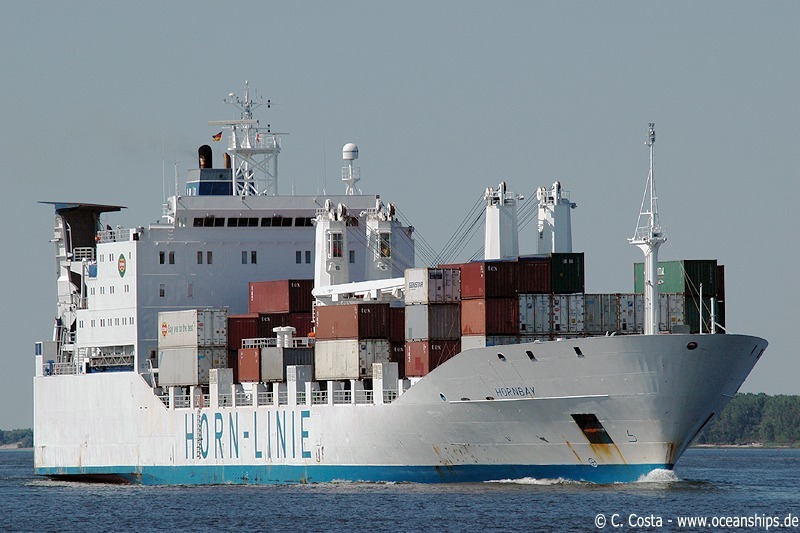 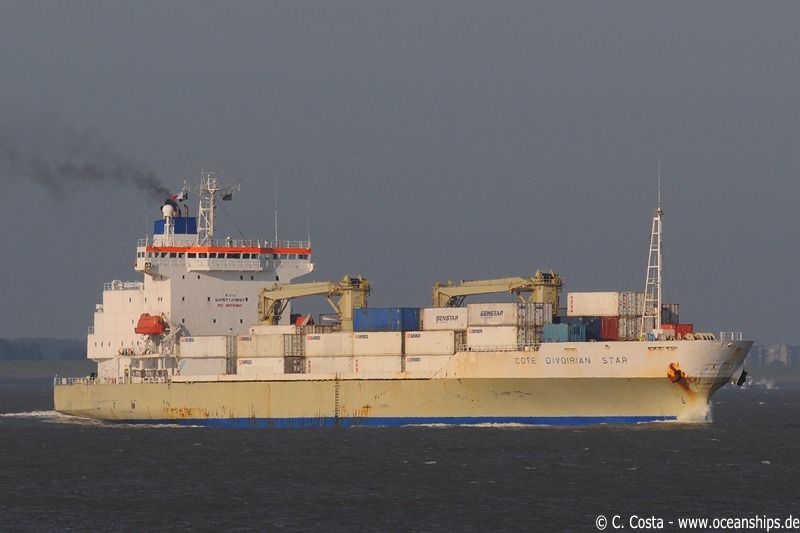 Refrigerated cargo ship Horncliff is passing Stadersand on March 25th, 2007. 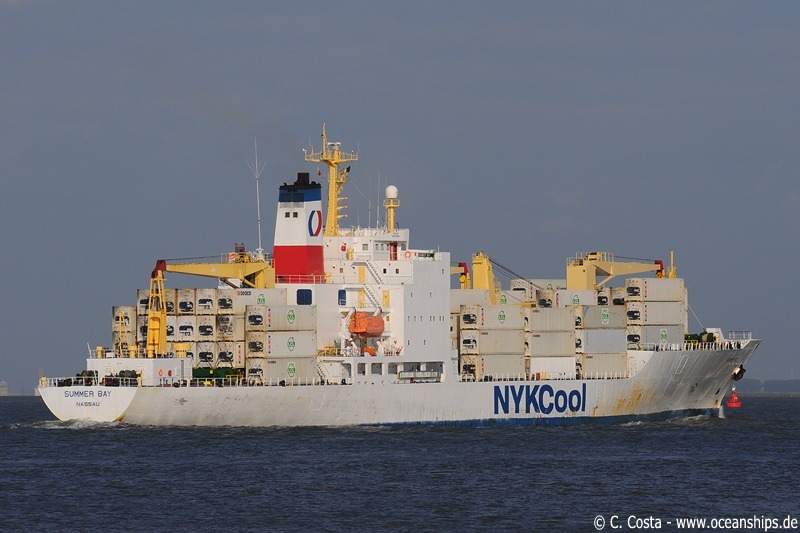 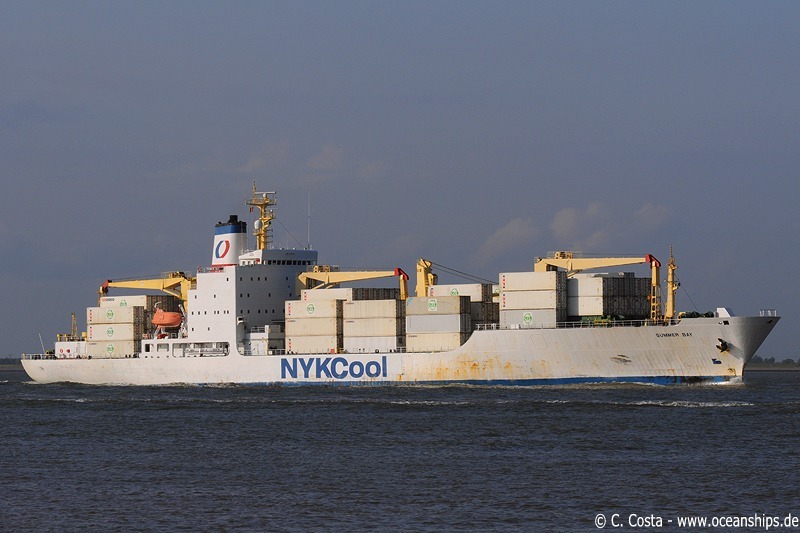 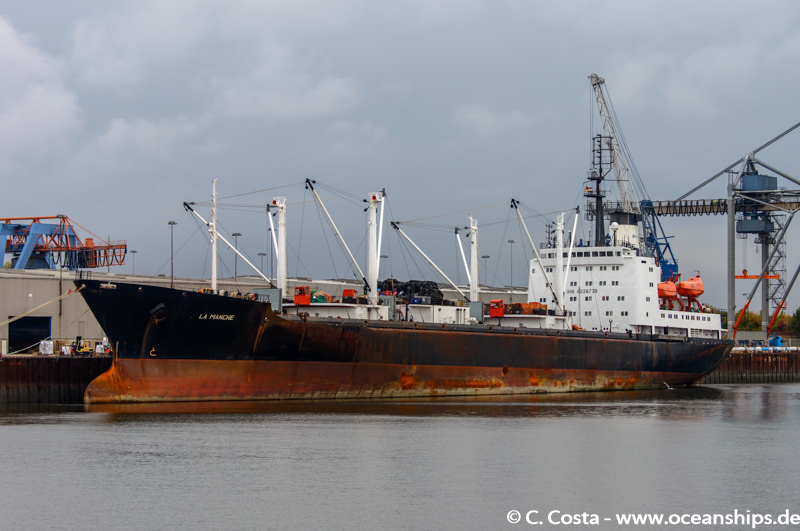 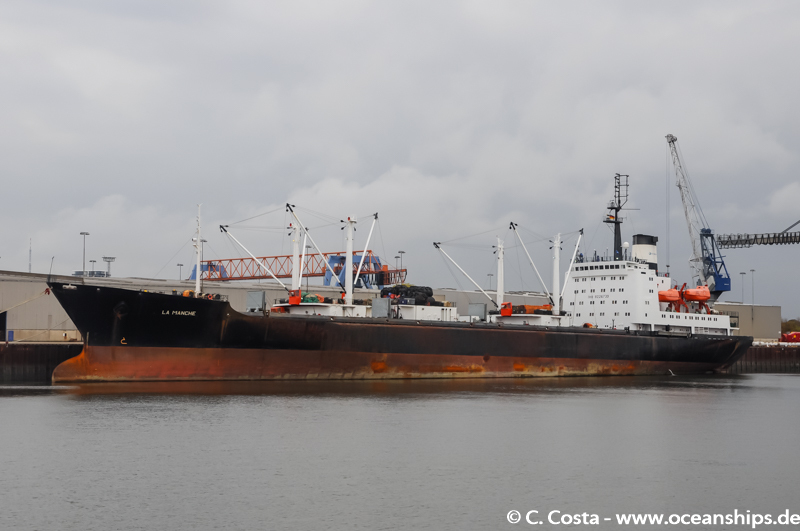 Refrigerated cargo vessel Cote d’Ivorian Star is passing Zeedorp on May 27th, 2009. 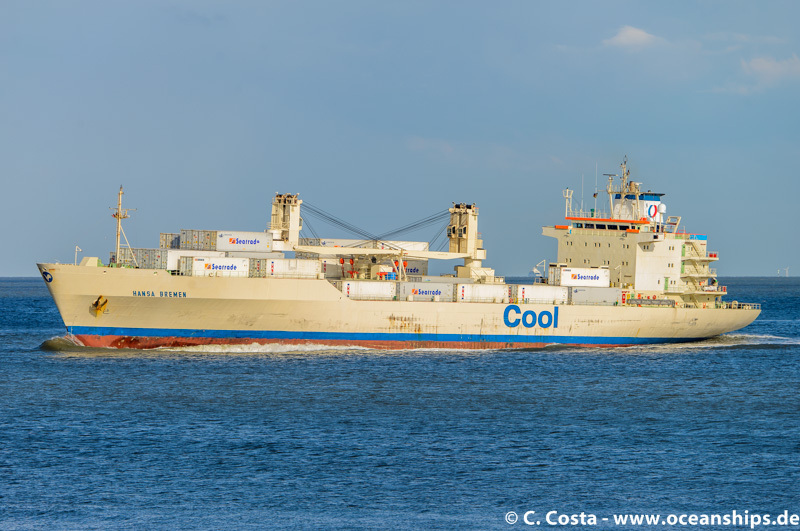 Refrigerated cargo vessel Summer Bay is passing Walsoorden on May 26th, 2009. 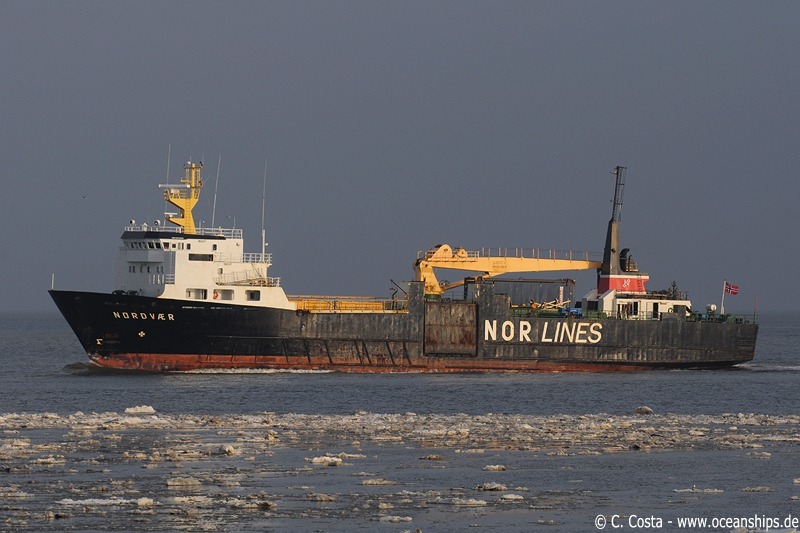 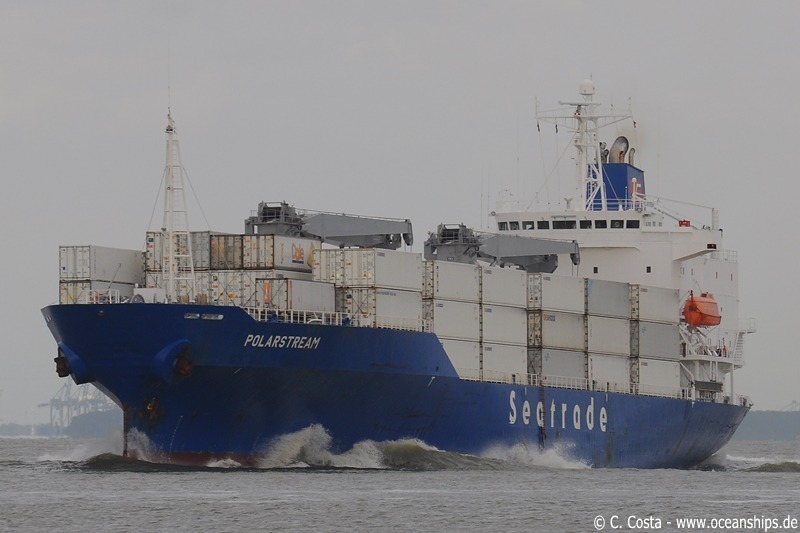 Refrigerated cargo vessel Polarstream is passing Walsoorden on May 26th, 2009. 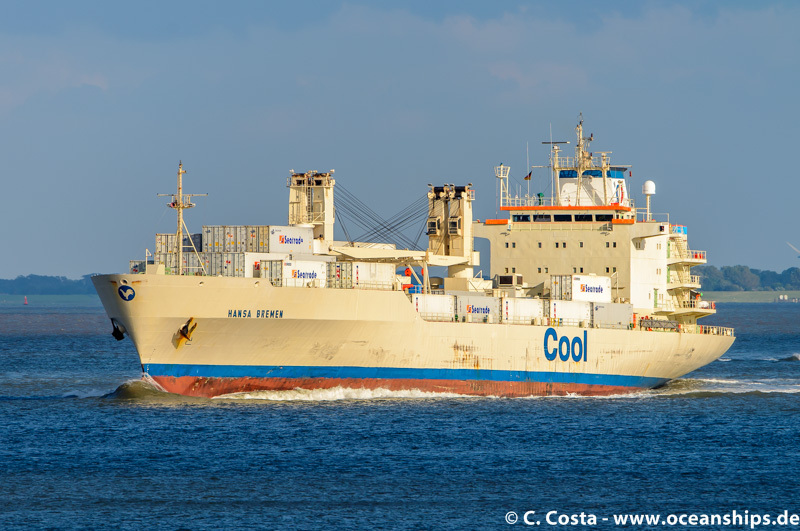 Refrigerated cargo vessel Tama Star is arriving in Hanburg on December 22nd, 2008. 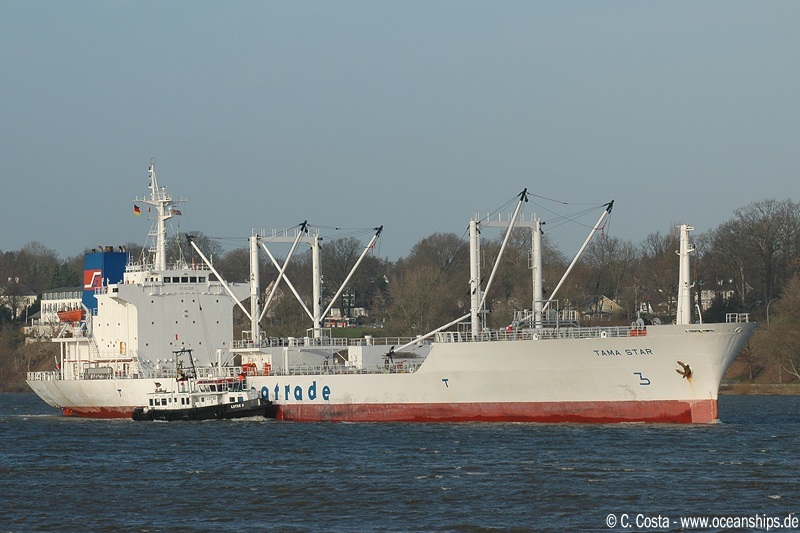 Refrigerated cargo vessel Tama Star is arriving in Hamburg on December 22nd, 2008.